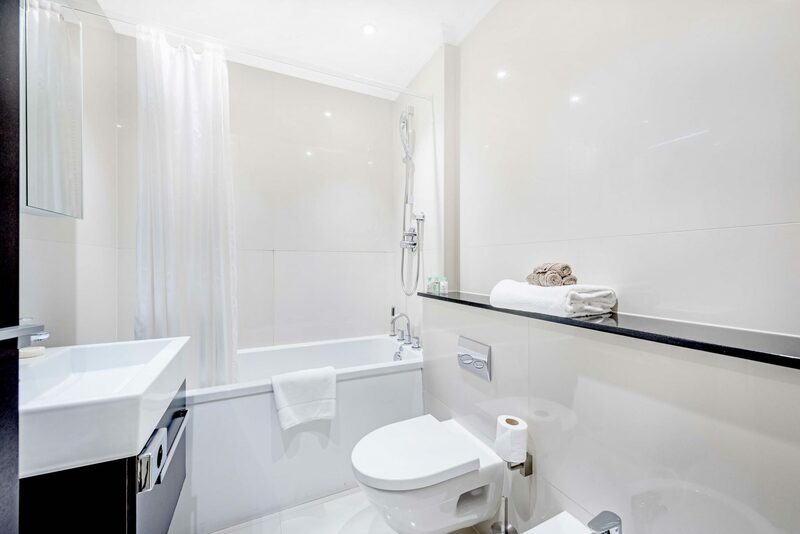 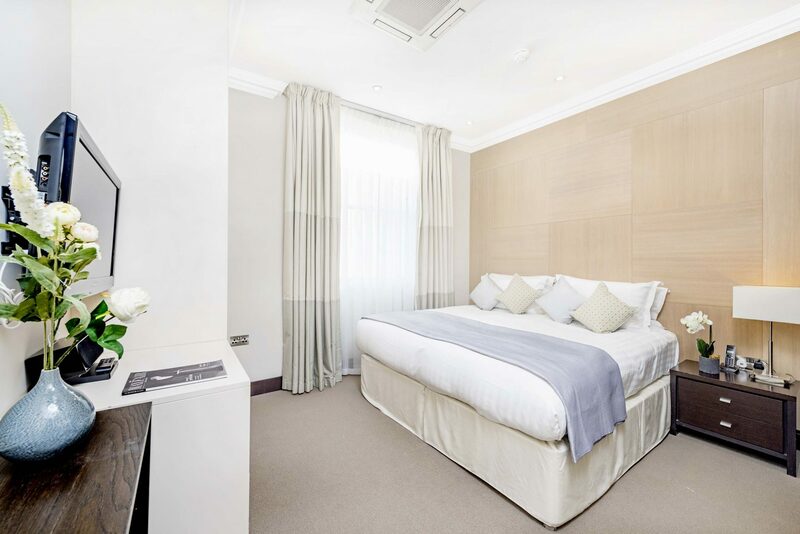 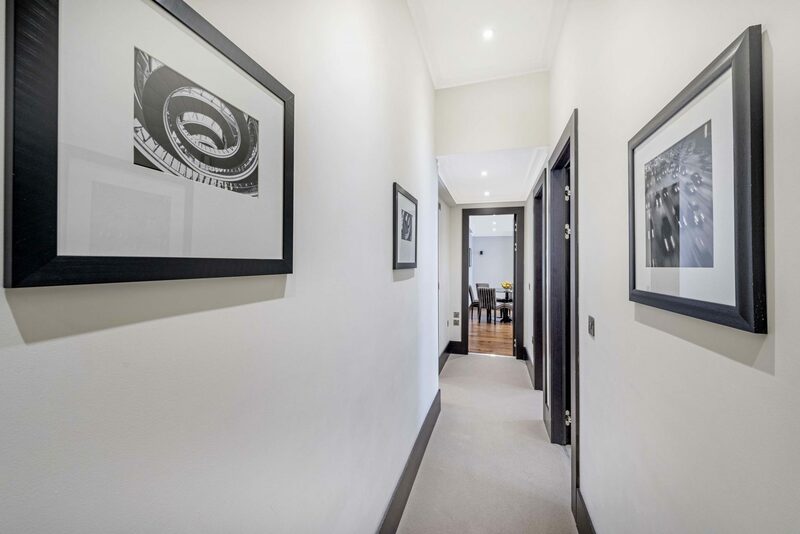 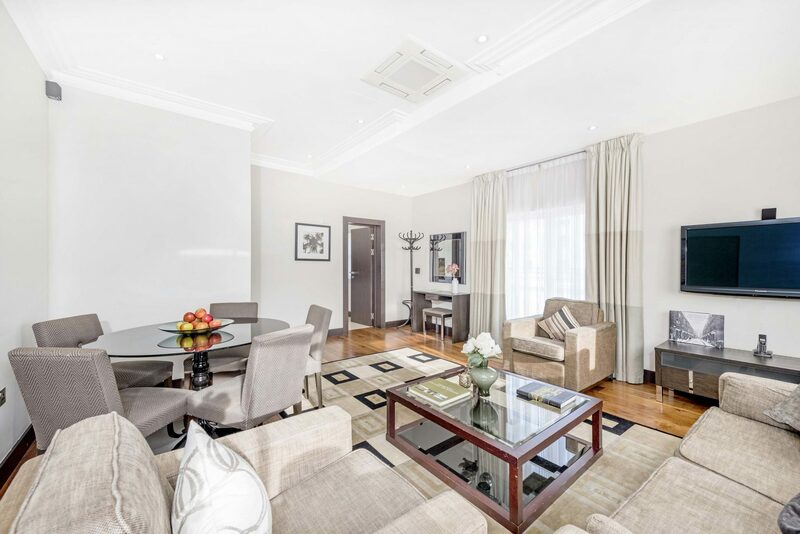 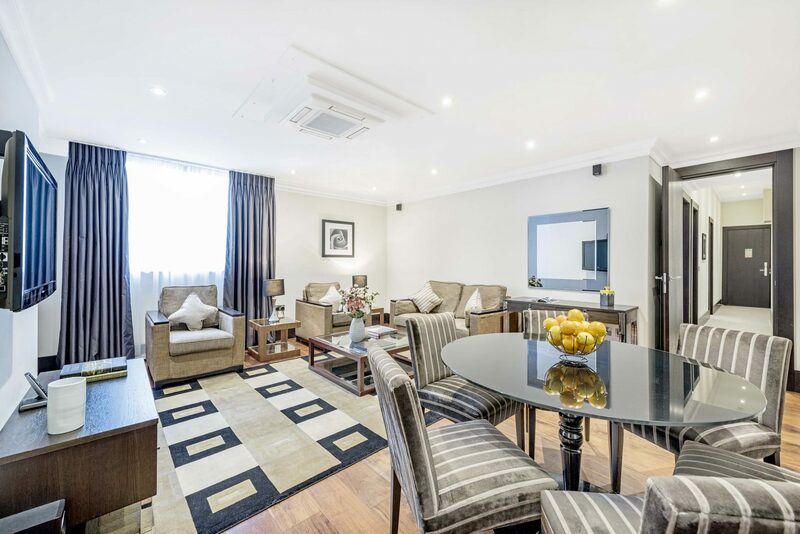 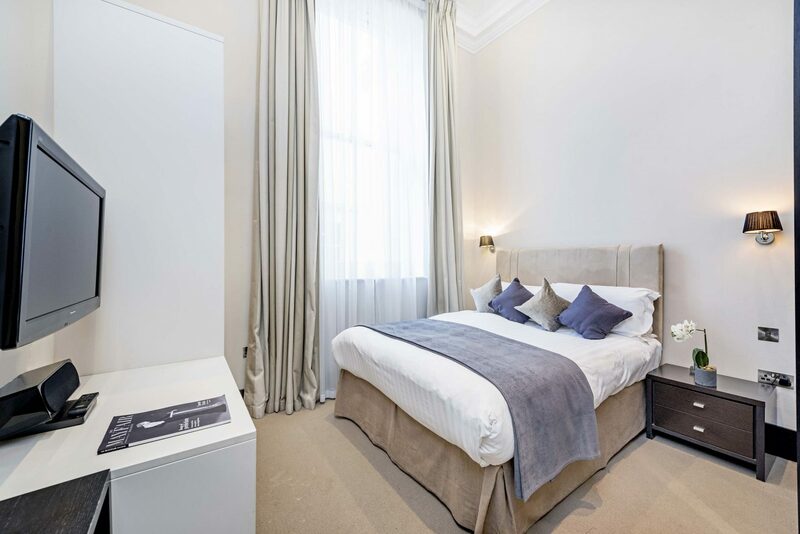 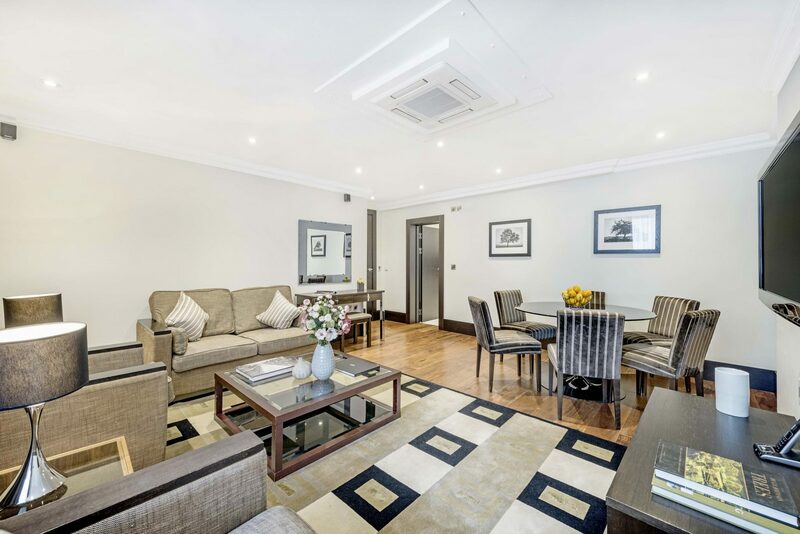 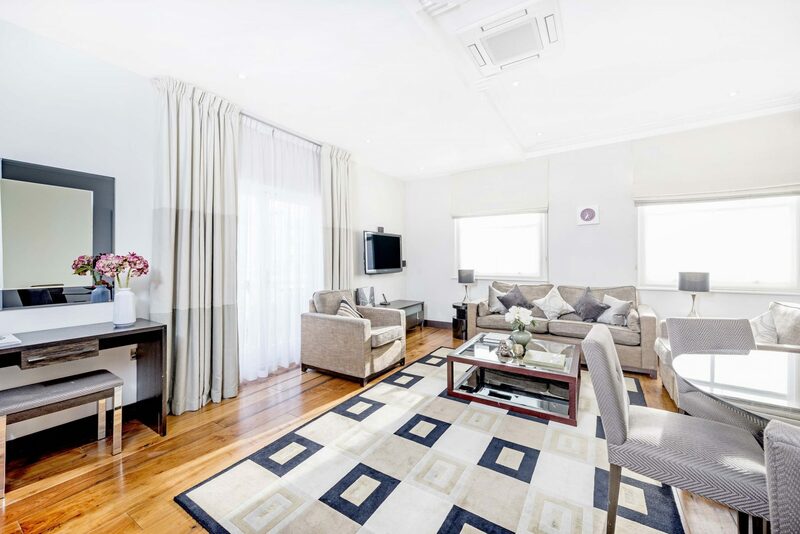 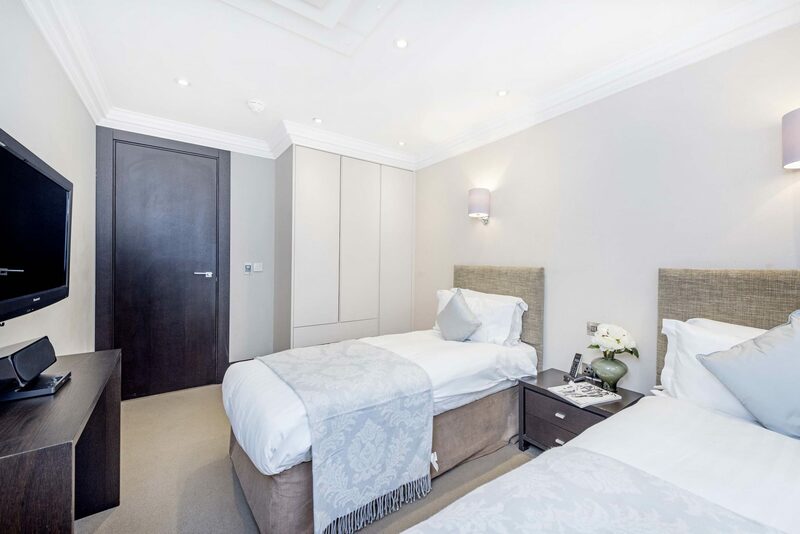 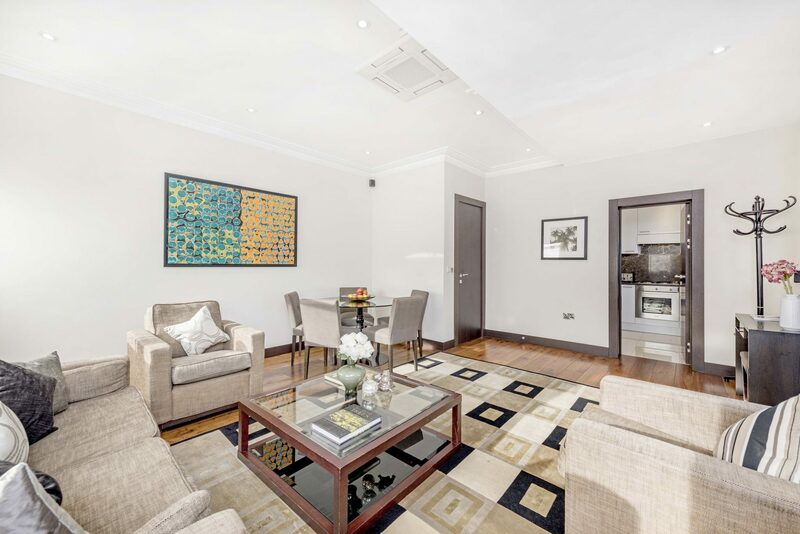 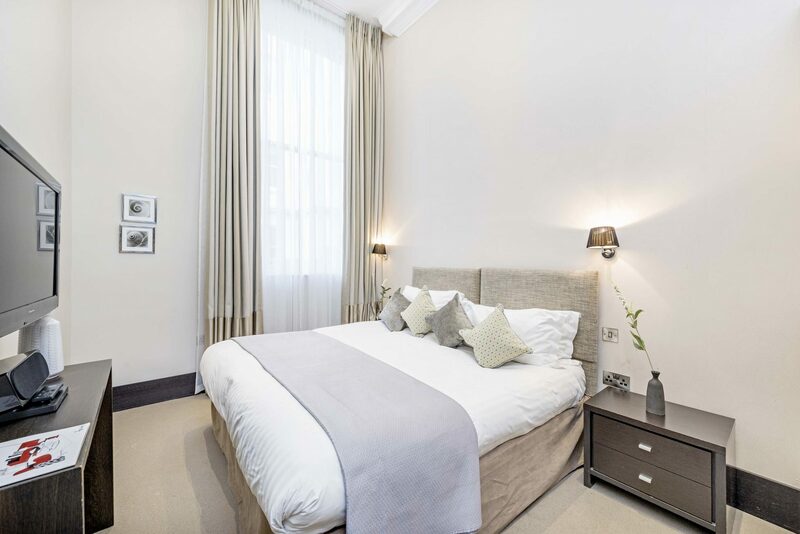 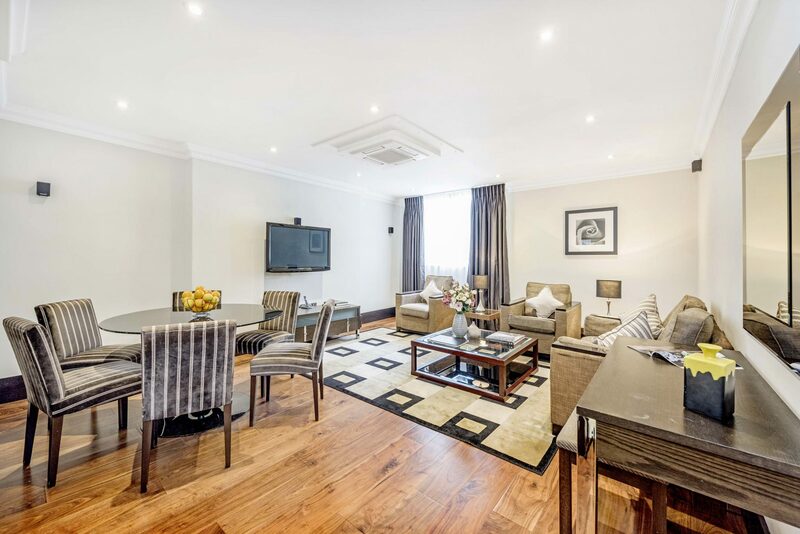 130 Queen’s Gate offers 2 Superior Three Bedroom apartments with exceptional space, light and high ceilings, ideal for families and long stay accommodation. 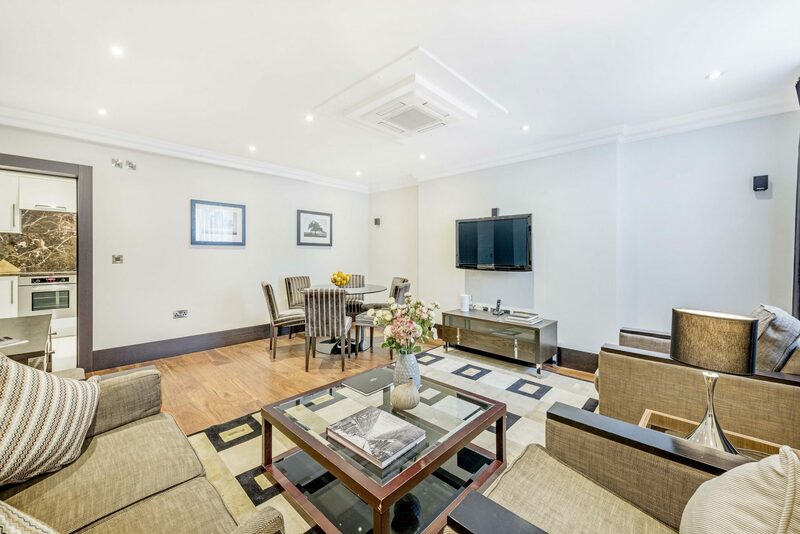 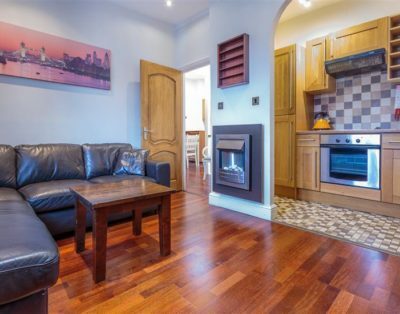 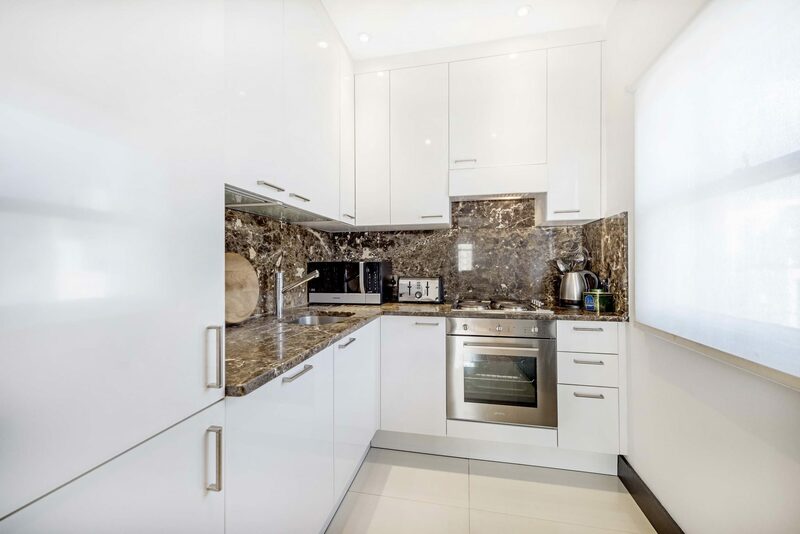 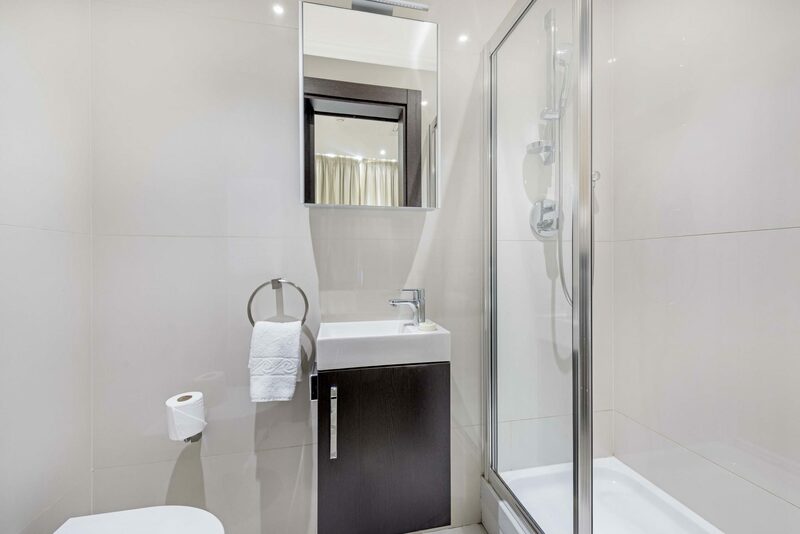 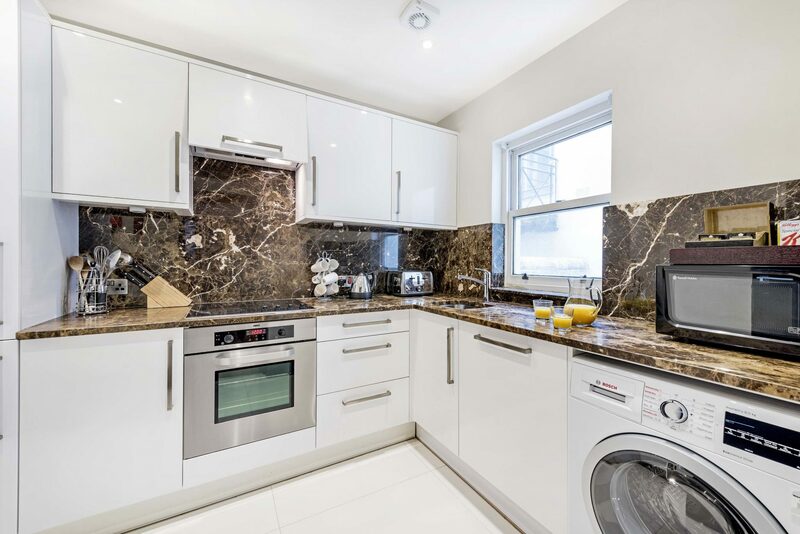 One apartment is located on the Ground Floor and features a bright, spacious Living/Dining area which includes a sofa bed and premium audio visual equipment and the modern Kitchen is fully equipped with high-quality appliances. 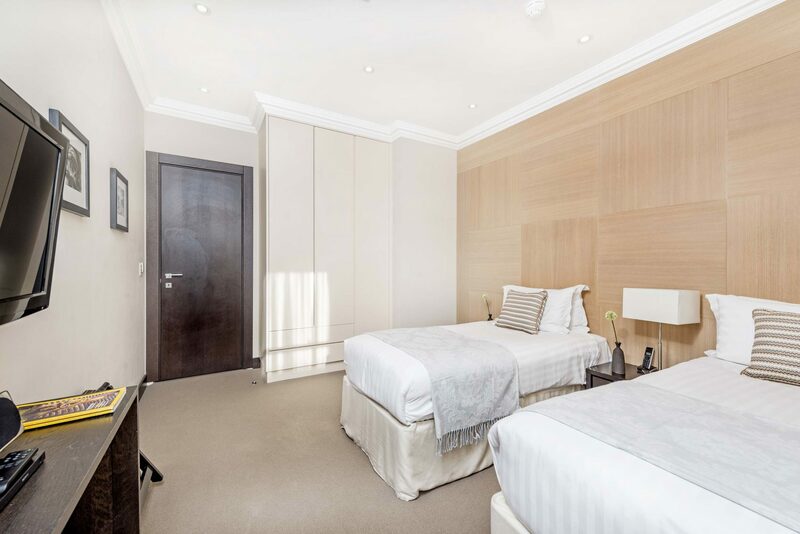 All three Bedrooms are fitted with a King-size bed and built-in cupboards for storage. 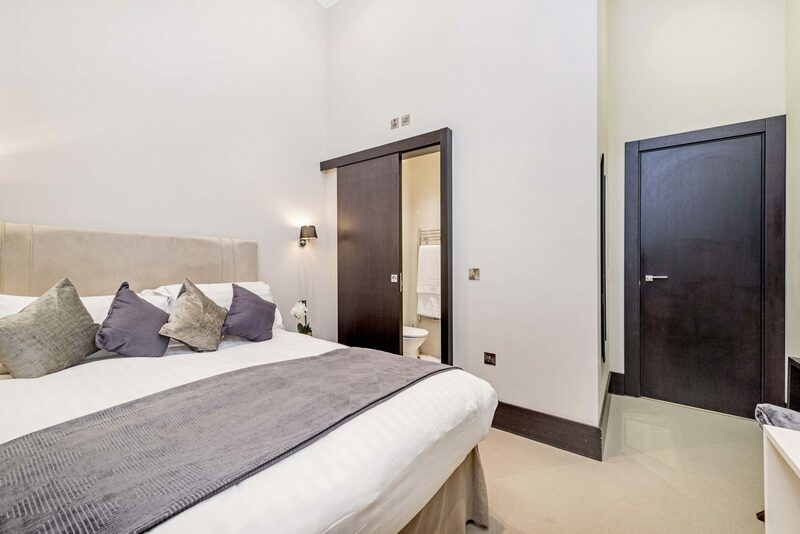 The Master Bedroom includes an en-suite Bathroom and one further Bathroom is fitted with bath and power shower. 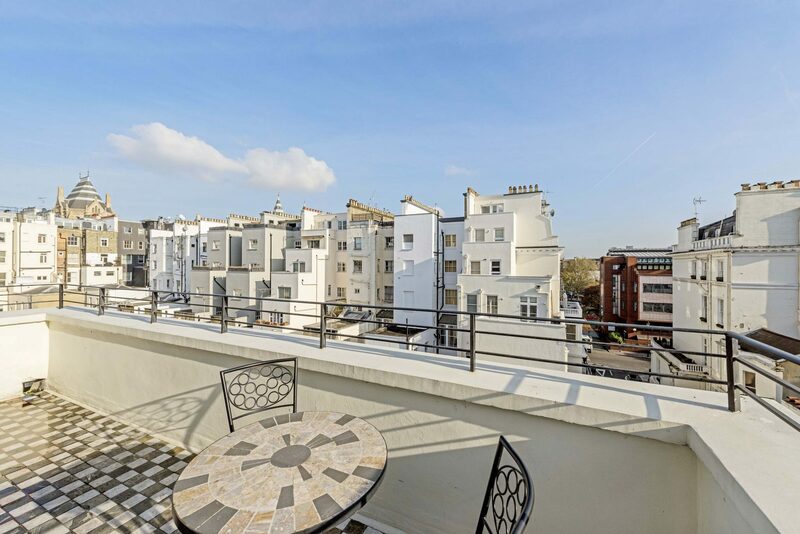 The second apartment is located on the Third Floor and features a balcony. 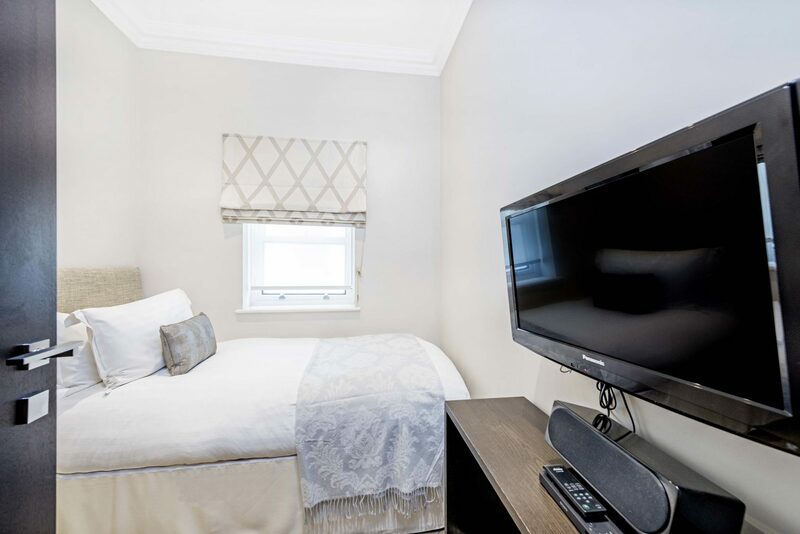 The spacious Living/Dining area includes a sofa bed and premium audio visual equipment, and the modern Kitchen is fully equipped with high quality appliances. 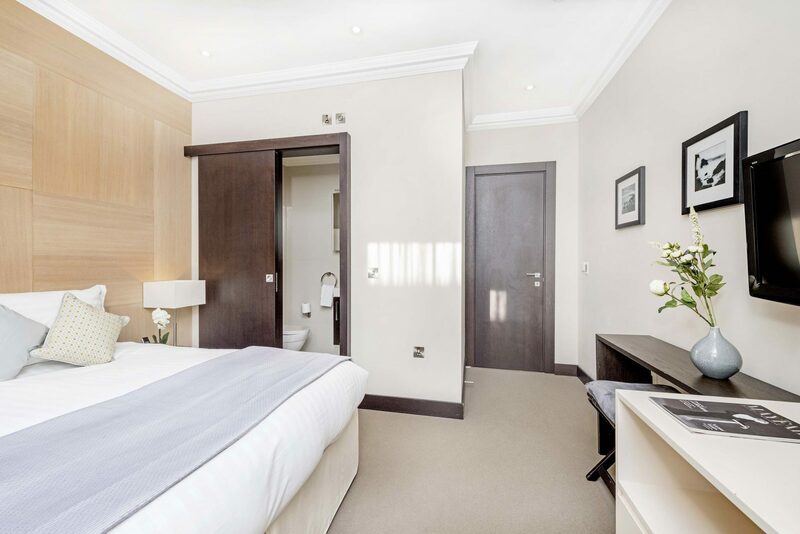 The Master Bedroom includes a King-size bed (which can be divided, if preferred) and en-suite bathroom. 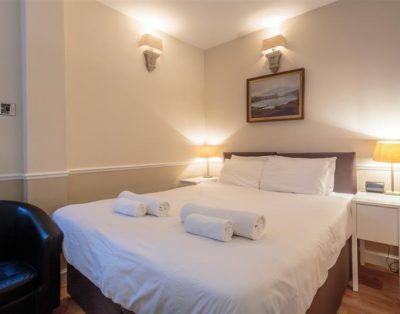 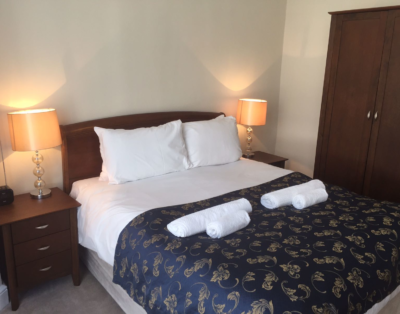 The second Bedroom is fitted with two single beds and the third Bedroom with a single bed. 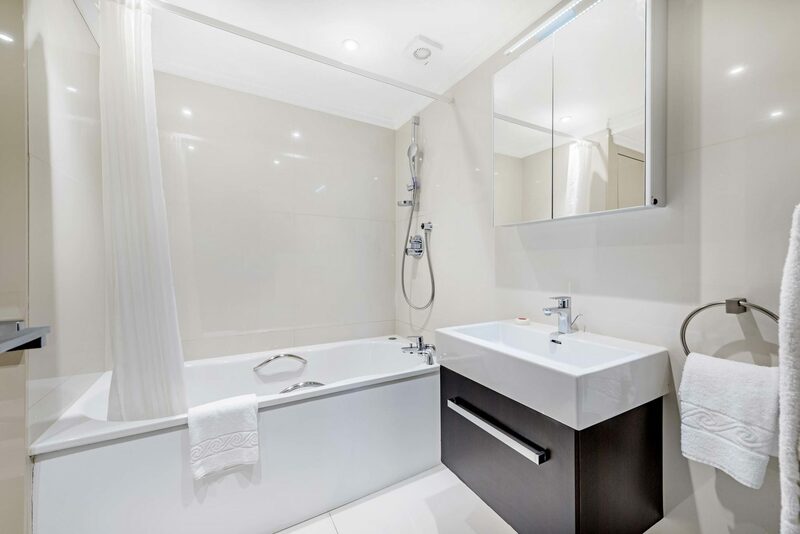 One further Bathroom includes bath and power shower.